While working as a professional dancer living in New York City, I began my journey into the health & fitness world by joining IIN in 2012. This was before the boom of social media and the emerging Holistic Health Coaching world that soon came to be. All I knew when joining this school was that I looooved living a healthy lifestyle - I was experimenting with which foods worked for me and which foods did not - and more importantly, I loved sharing the knowledge I had with others. During my time in the program I was able to learn from top health & wellness advocates, all of which had differing views allowing you to experiment with each diet to see what works best for you. There are tons of classes that focus on the building and maintenance of a small business. Tips for how to pick a name for you health coaching biz to resources for designing a website, nutrition plan and client contract. I was also exposed to a new world of like minded people open to supporting each other in their successes! Through weekly phone call study groups to Facebook chats and even in person meet ups, my network of holistic health coach buddies expanded immensely. Learning from top wellness advocates. 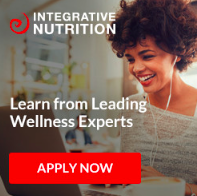 Attending lectures specifically designed for IIN students with leaders like Gabby Bernstein, Andrew Weil, Frank Lipman, Mark Hyman, David Wolfe. Opportunity to create a new career path if desired in just 1 year. You are given the guidance and tools to start, build & manage your own business from the ground up. There are also follow up courses to enroll in such as how to publish your own book. Develop listening and coaching skills to properly lead clients to a healthier and sustainable lifestyle. Feeling confident in your own knowledge to help guide someone else on this path. Participate in weekly phone calls with a study group assigned to you, join local Facebook groups and meet ups to feel better connected to your classmates. Networking with like minded individuals and students to help keep you on track and motivated. If starting your own health coaching business isn’t for you, that’s totally cool too! So many students enroll in this program simply because they want to expand their knowledge of nutrition so they can live a healthier lifestyle and share it with their friends and family. Other options at the end of your schooling might be to start a blog, add a healthy element into your already existing career, write a book or become a wellness advisor at a gym/spa. At Integrative Nutrition, you are taught as a coach to support your clients by examining all areas of their lives. Looking at everything from career and physical activity to educating them on the power of nutrients and super foods. We don’t put anyone on a diet but instead teach clients to listen to their bodies and start understanding and identifying their triggers around food so they can develop better long-term habits around food. This might just be the right nutrition certification for you if you want to take a more holistic approach focusing on the person as a whole. You are one step closer to creating a healthier & happier life for yourself, as well as those around you. Get started now by requesting your free info kit below filled with even more guidance to have you living your best life!